The Squamish Eagle Viewing Float is a fun experience to enjoy as a way to get away from the city for a day. There’s a very scenic drive to get to Squamish on the Sea-to-Sky highway. Located about an hour’s drive north from the City of Vancouver, British Columbia, Squamish is a hub for those who love to get outside and be active year-round. While there are plenty of hiking trails nearby, I recently went to Squamish to go eagle watching. To say that experiencing the Sea to Sky Gondola was a transformative experience, would be an understatement. It’s hard not to feel all the things I most love feeling: alive, free, adventurous, exploratory, and joyful, when I’m spending time in nature. Doing so in a whole new setting over 800 metres above sea level (even higher than the Stawamus Chief trail I’d hiked a few years ago, which is nearby and can be seen from the top of the gondola and a viewing platform) increases those feelings ten-fold. I really had a great day enjoying the trails, views, and delicious food that the Sea to Sky Gondola offers. Whistler is something of a gleaming jewel in the Canadian winter crown. Luring thousands of snow-worshippers each year from across the world, the famous winter season is upon us once again. Running from November 22nd through May 2019, skiers and snowboarders will pound the slopes, apres-ski in style, and embrace everything that’s great about British Columbia in winter. Ahead of the winter 18/19 season, we check out what’s new and trending in Whistler this winter. What is there to do in Vancouver during winter? With mild winters (compared to most of Canada), a large population of people who enjoy partaking in outdoor activities, and Whistler (the ski-bum capital of B.C.) so closeby, there are plenty of things to do outside during the winter months. It may seem ironic that, despite having spent my teenage years in Calgary, Alberta—known for its crazy-cold winters—I haven’t really embraced winter sports or activities in the past. As part of my goal to “embrace the season,” I’m going to really take full advantage of the winter season this year. This post contains affiliate links. That means, if you click on a link and purchase something, I may receive a commission. All opinions are my own. Few things get me more excited about the long, hot days of summer more than the arrival of summer fruits at my local grocery stores and farmer’s markets. While I love buying fresh fruits from farmer’s markets a lot more than from big grocery stores, because I feel like I’m tasting all the love that went into growing the produce, there’s nothing quite like picking my own fruits from a farm. 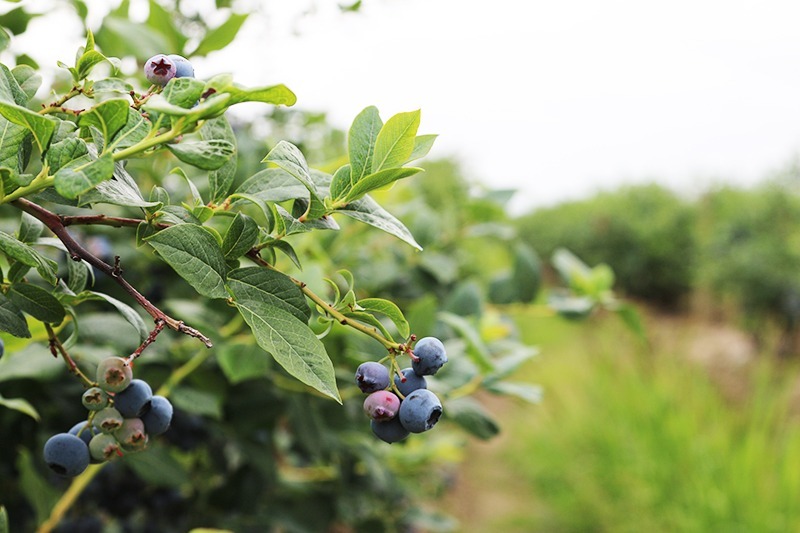 I first experienced the joy of a U-Pick berry farm in London, Ontario while visiting a friend’s family. Everyone, including all the young children went out to pick strawberries. It was so much fun choosing each berry and placing it into my bucket. It was even more fun eating the freshly picked strawberries soon afterward — cut up and eaten with vegan vanilla ice cream. Is it difficult to travel when you’re vegan? It doesn’t have to be! I’ve been vegan for over 17 years and have travelled throughout the world while maintaining a vegan diet. On a recent trip to Québec, I found numerous options for vegan food in Québec City. Actually, there were more places that I wanted to check out then the amount of time I had. Take a look at my recommendations and feel free to leave a comment to let me know if there are others I should check out the next time I’m in the city. This blog post has affiliate links throughout. At no additional cost to you, if you click on any link and happen to make a purchase, I may make a small commission. I only write about and recommend products and services that I wholeheartedly think my readers will enjoy. 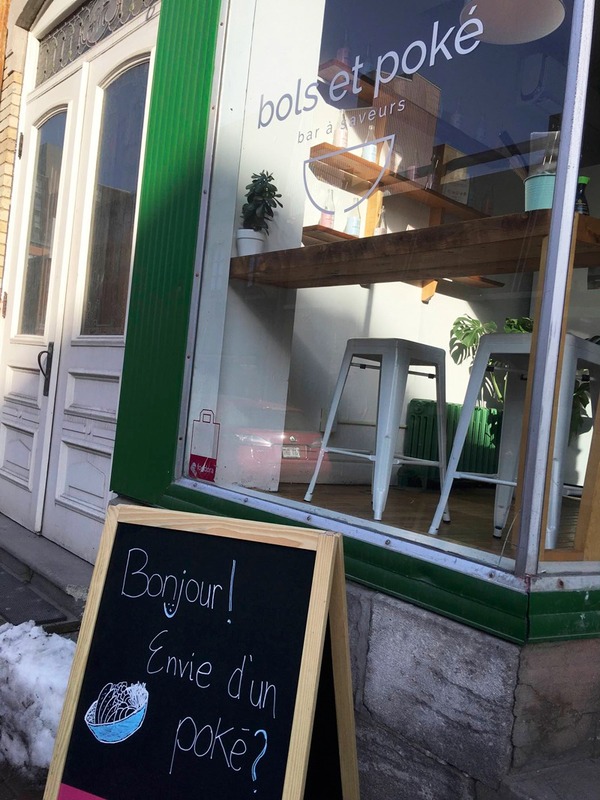 Wondering Where to Find the Best Vegan Food in Old Québec City? If you’re out sightseeing in Old Québec, there are several options within walking distance of all the main sights. My first time having a poké bowl was at Bols et Poké. Clearly marked on the menu, the Mahalo bowl is a solid vegan option. There are other vegetarian options, too. 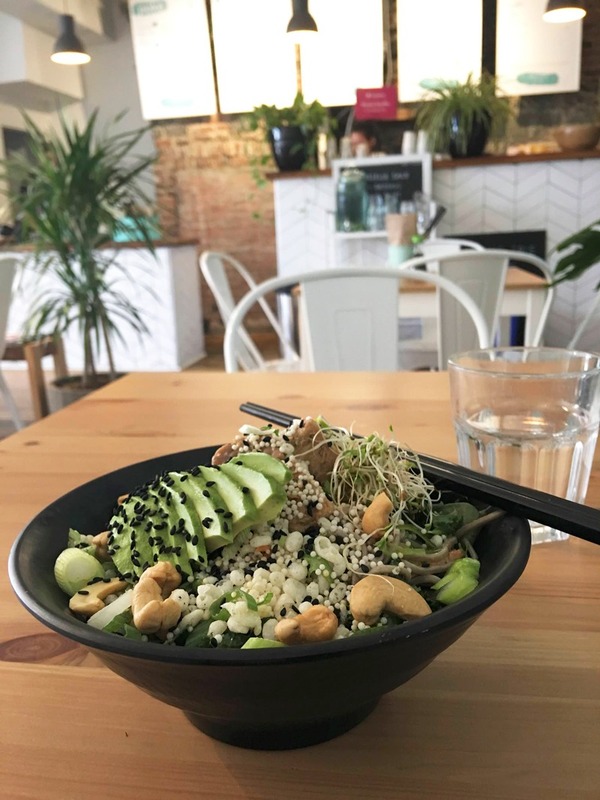 Types of cuisine / specialties: -Korean -noodle bowls -Vegetarian / vegan options -casual, quick meals Address: 545 rue Saint Jean, Québec City. 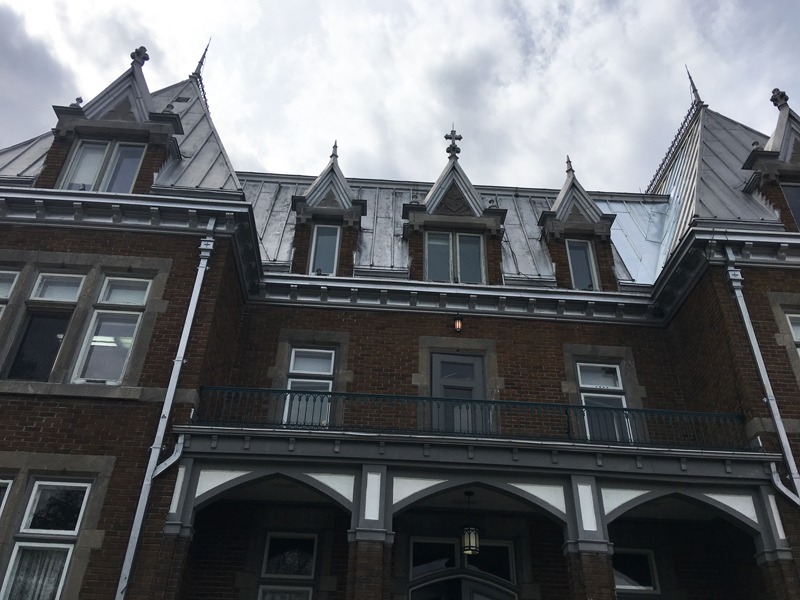 The Cafe du Presbytere in the borough of Chicoutimi, Québec was an unexpected delight! Who knew you could get such delicious vegan/vegetarian friendly food in the Saguenay-Lac-Saint-Jean region in Québec? I didn’t! Actually, I purchased quite a lot of snacks for this leg of my Québec trip before I left home, because I thought I’d be out of luck in terms of food options! 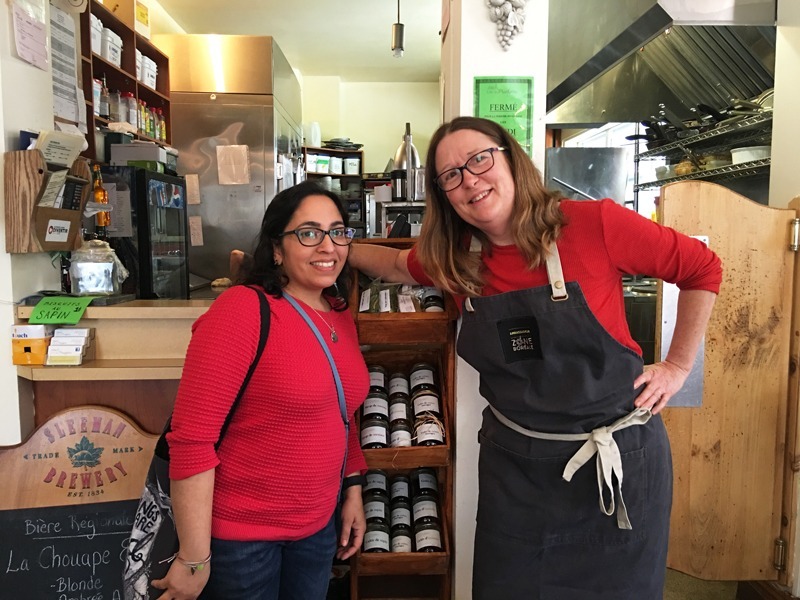 Not only did the Tourisme Saguenay-Lac-Saint-Jean team make sure there were vegan options for me (and vegetarian options for another blogger), they took the whole press tour group to some amazing places to eat. I feel like we really experienced this region’s cuisine. One of the clear highlights of my trip through the Saguenay-Lac-Saint-Jean region was a lunchtime stop at the Cafe du Presbytere in the borough of Chicoutimi, Québec. 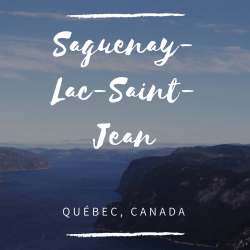 I’d never heard of it and it took me a long time to figure out how to pronounce it, but once I stepped foot in the Saguenay-Lac-Saint-Jean region, I knew I’d found a special destination. Thank you to Tourisme Saguenay-Lac-Saint-Jean for the fantastic trip! There are affiliate links throughout this blog post. If you click on the links and make a purchase, I may earn some money. Your cost doesn’t change. 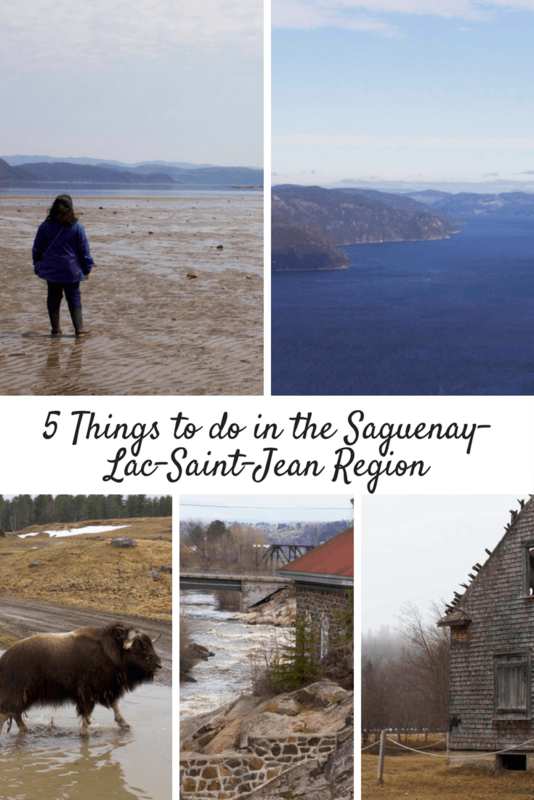 Depending on the activities you most enjoy, there really is no bad time of year to visit the Saguenay-Lac-Saint-Jean region! I visited this part of Québec in early May and there was still snow in certain areas and Lac-Saint-Jean was still covered with ice and snow. I didn’t find the weather very cold, though. A few of the things I packed: jeans, comfortable walking shoes, a rain jacket (which I layered over a sweater or shirt/cardigan combo), and swimsuit. There were hot tubs at each of the hotels in the Saguenay-Lac-Saint-Jean region where I stayed! With the Saguenay river, Lac Saint-Jean, and the Saguenay Fjord, staying the night at one of the Saguenay-Lac-Saint-Jean hotels on the waterfront seems like the right choice. 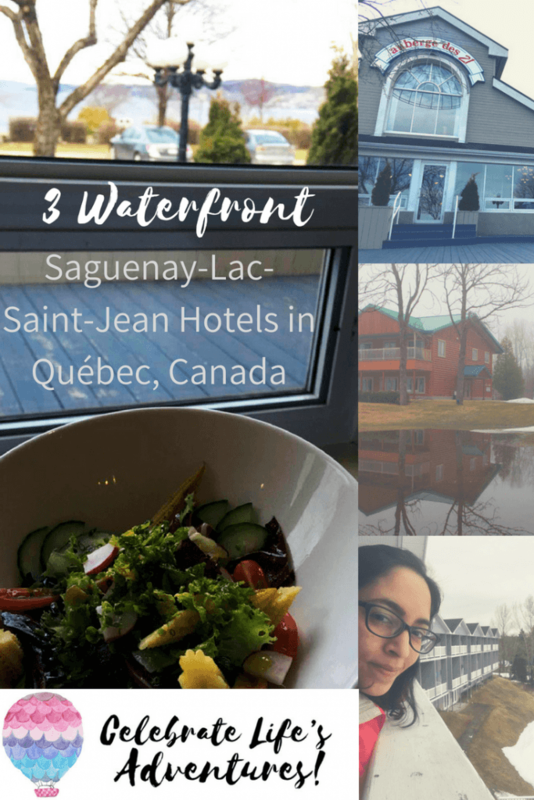 I had the pleasure of spending 3 nights in the Saguenay-Lac-Saint-Jean region in waterfront hotels. Thank you to Tourisme Saguenay-Lac-Saint-Jean for the trip! 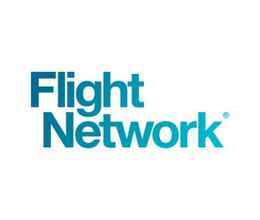 You will find affiliate links in this blog post. I’ve included helpful links for you and if you end up making a purchase on one of the sites I may earn money at no extra cost to you.